From Rodney Eyles’ wife Michelle. Rod is ex world champ. Now Head Coach for Squash Australia. Here are a few words for a testimonial. A pleasure to talk to you earlier. As mentioned, I believe that each and every player should be mandated to wear your product. It is brilliant and the protection it offers is invaluable. I have a friend who is an eye surgeon at St Vincents here in Mlb and she has told me of some of the most horrific incidents with eye injuries on the squash court. Anyway, back to the point…..
My Imask has a split at the rivets caused by a big hit. It is less than 1 year old. I appreciate your offer to replace it. In addition to the replacement one, I would like to purchase another one too. I am happy to transfer the funds to your account. Please either call me or email. The mask I have now is black. Thank-you sincerely for your invaluable support. 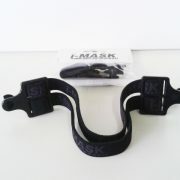 We proudly wear and promote I-Mask at all times on and off the court. 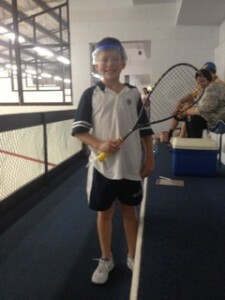 Our Junior Squash Program members all understand the importance of wearing your companies leading Protective Eyewear product, while having fun on the court. Next year will see a new name for our squash to Mildura Squash. All programs will continue to be developed by Paul and Nathen. We look forward to our valuable partnership in the New Year. Hi Max, here is my story. I first started wearing an I-Mask as soon as I started squash. My coach gave one to me and I looked at it and had no idea what it was. My first thoughts were, “ Oh, I’m going to look so retarded in this.” My coach decided to make me flick my nose because I wouldn’t stop complaining. This made me even more confused; I had no idea why he was getting me to flick my nose. He then explained to me that this is what it feels like if you got hit by the ball. Only problem is I have a high pain tolerance. I soon noticed that it was definitely better than wearing glasses. I saw my first ever squash collision at Friday night Junior Comp. One of the girls who was wearing an I-Mask got hit in the visor by her opponents back swing and the visor just popped out and fell off. I then thought that if she had of been wearing glasses there could have been a serious injury. I now promote wearing I-Masks to all our younger, up and coming juniors in particular speaking to the parents about all the positives and its great seeing them on the court wearing an I-Mask. At this stage I have no intentions of changing to glasses, it is too risky and asking for a serious eye injury. We hope this email finds you well and l thought we’d contact you now that the squash calendar is underway again with a packed session ahead. Morgan is absolutely delighted with the variety of coloured bands you sent for her i-Mask – she’s been showing them off and the other squash kids were totally impressed with the range. 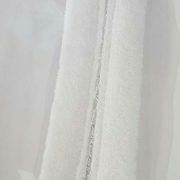 in terms of the new sweat bands – they seem to be a big hit, easy to clean totally absorbent and very comfortable to wear compared to their predecessor. My name is Anthony Graham and i am writing to you concerning I-masks for the up and coming European squash championships. I have recently been invited to play for England in the coming Europeans U19 after i won the U19 British championships at the end of February. http://www.squashsite.co.uk/bjc/ This link shows the British championships 2009, where i am pictured playing all the way through to the final in an I-mask. I managed to borrow an I-mask for this event and i really enjoyed playing in it, this is why i am writing to you now. 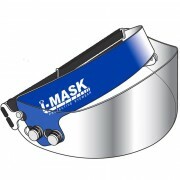 I would really like the chance to play in another I-mask throughout the individuals and team Europeans this year. Would you be able to sponsor me with an I-mask. There will be huge coverage over squashsite and PSL live in this event and as i will be seeded highly, i would be proud to advertise such effective eye protection to all up and coming juniors! Thank you so much for my I-mask. It kept me safe and i had top juniors watching me become european champion from all over europe in an Imask! I hope that helps you, as you have helped me. I also thanked you in my speech at the closing ceremony dinner last night. I am now England ranked number 1 (2009) and i am European and British U19 champion. I would be more than happy for you to use my name in any advertising purpose for I-mask on websites etc. 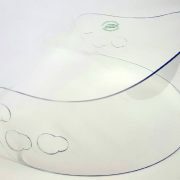 I would be proud, as i still regard I-mask to be the MOST practical, comfortable and safe eye wear available! I’ve been playing since 1971, in the days when we didn’t wear eye protection, and never had a ball to the face. Even though I chose the I Mask for its other advantages, its superiority in face/eye protection was readily evident in this episode. Needless to say, I have another I Mask on order and won’t play again until it arrives!